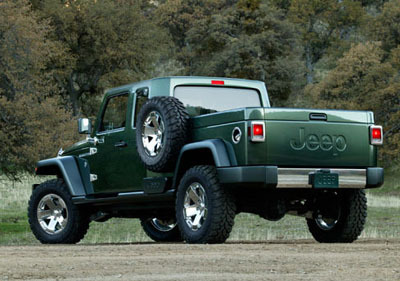 The Concept Jeep Pickup is a hit in my opinion. It looks like a Jeep, and drives like a Jeep. It will capture the naturally aspirated Jeep customer, I think. The side tire is a hit. I would buy one in a heartbeat! This truck is very cool...I'd buy one !! !